If you are a landowner, you may have already commented. If you are not a landowner along the route, perhaps you are an abutter (one next to property on the pipeline). If you are neither of these things, perhaps you are still concerned about threats to water, safety, and public health, or future economic development. All of these are valid concerns. You should write to the FERC. Abutters will face most of the same risks as affected landowners, without the offers of money for the use of their property – water contamination, stream degradation, soil contamination, danger of fire or explosion, lowered property value among them. You have a right to have your concerns heard. Even those not directly abutting could be negatively affected. The incineration zone is 3600 feet from the pipeline center. Our high school sits within the incineration zone, as does our state police barracks. The evacuation zone a pipeline this size is 2 miles. If you are wondering if your property is in the evacuation zone, you can consult the GIS layered maps at http://www.pipelineupdate.org. Does your community have an evacuation plan? If not, you might consider asking your county commission, local emergency planning commission, or office of emergency management to develop one. Better yet, consider joining one of these organizations, or even creating a planning commission in your community to address issues that are receiving short shrift. This project has many more costs than benefits, though you may have only heard about the benefits. Some of the drawbacks include millions in foregone economic development (who wants to start a small business in an incineration zone? ), reduced property value (try selling your house when you tell prospective buyers they may be caught in a gas fire), and stream degradation (siltation during construction kills stream life). We have seen this happen with the Stonewall-Momentum gathering line. The 75-foot permanent easement will be sprayed with herbicides that will runoff into streams, and you can’t put anything but a flower garden on it. The 42” monstrosity will cross the Buckhannon River, our water source, and tributaries nine times, and cross over miles of underground mines. The pipeline is buried only feet below the surface, but how far below our streams will it be built? This question has been posed to Dominion by city officials and has yet to be answered. Will it be deep enough to protect the stream bed from going under, or will it be deep enough to connect with underground mines? Either way, our drinking water source is at risk. What about jobs? Looking at the Draft Environmental Impact Statement (DEIS) for this project (bear in mind this is info given to the FERC by Dominion) there could be 384 temporary jobs and only 22 permanent jobs. What is temporary? The DEIS says the work tours will be 6-12 weeks long. Is it worth risking our water, safety, public health for a few temporary jobs? How many employees will be locally hired? Not many, if you consider what happened with the Stonewall Momentum gathering line. Very few will be from West Virginia; most of them will be from the south and west. Skilled workers are moved from site to site, not hired locally. Who will pay for the $5billion project? Why, the ratepayers, of course, in the form of higher energy rates. Will it provide gas to our area? Nope. All of it is being sent out of state and offshore, so the companies owning it can make money selling it on the world market (where the going rate is higher than domestic). When that happens, our energy prices will rise. What about tax revenue? Whatever money might come from this project will go to the state coffers, and they will dole it out as they please. Will it go for roads, schools, and other community projects? That is anyone’s guess, but the company has no stated plans to pay for roads or loss of life or property. The fact that they are a limited liability corporation means they won’t be liable for damages. This project would have about 1,000 miles of access roads, effectively tripling its length. It will cross almost 2,000 waterways and affect the delicate Karst cavern and water filtration system. Moreover, we know that fracking is going to increase as soon as these projects get their certificate from the FERC. And we know what this means for our region: more water consumed, toxified, and injected, causing earthquakes, water and air contamination, and an exacerbated health crisis. New York and Maryland have banned fracking. Have they done this because they want to live in the dark ages again? No, it is because they have looked at the evidence and wish to protect their communities. Surely, they want to develop energy and create jobs, but in a healthy, ethical, and sustainable way. The only way to protect our water, safety, and public health and provide safe jobs is to invest in other types of energy – clean, green energy. Solar power provided more jobs in 2015 than coal, oil and gas combined. Companies like Coalfield Development Corporation are using federal dollars from programs like the Power Plus Plan to train former coalfield workers to do the new jobs that are part of a sustainable future: installing solar panels, sustainable construction, reclamation and remediation are just the tip of the iceberg. Talk about providing jobs – there it is! And guess what – we don’t have to live in the dark. The deadline for comments is April 6 at 4:59p.m. Comments can be submitted on paper or electronically, at www.ferc.gov. 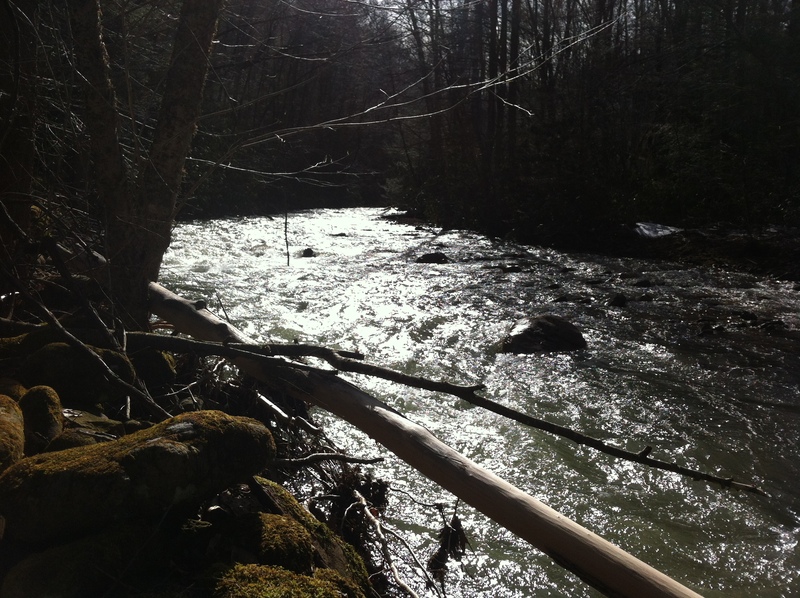 Search for 556-mile Atlantic Coast Pipeline, click on the link for the DEIS, and choose the docket # for the project you wish to comment upon. Most people use the pipeline itself (CP15-554), but the 37-mile Supply Header Project in Marshall, Wetzel, and Doddridge are also part of the picture. © April Pierson-Keating, 2017. 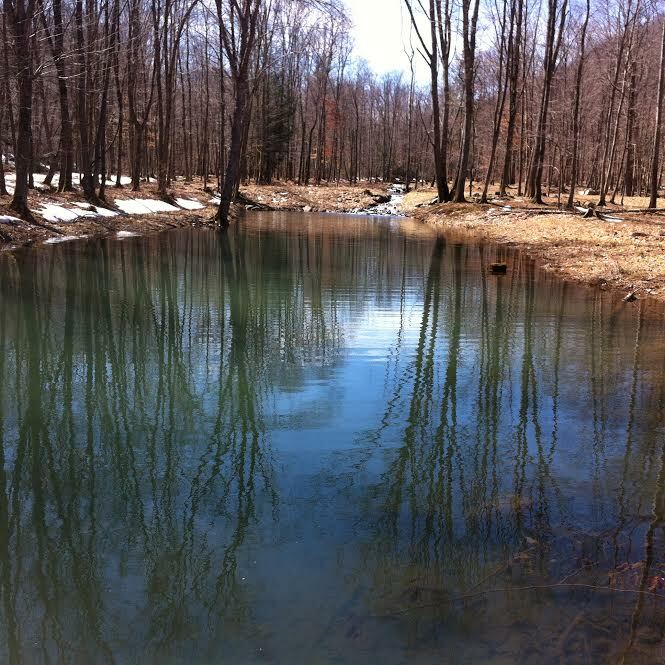 Pierson-Keating is with the Mountain Lakes Preservation Alliance. To view their gallery of photos from pipeline construction and fracking operations, visit here. WASHINGTON – More than 180 organizations representing communities across America, including West Virginia, called on leaders in the Senate Energy and Natural Resources Committee and House Energy and Commerce Committee to hold congressional hearings into the Federal Energy Regulatory Commission’s (FERC) extensive history of bias and abuse. The groups are also requesting reform of the Natural Gas Act, which the groups say, gives too much power to FERC and too little to state and local officials. The letter to Chairman Fred Upton (R-MI), Chairwoman Lisa Murkoski (R-AK), Ranking Member Frank Pallone (D-NJ) and Ranking Member Maria Cantwell (D-WA), signed by 182 community organizations representing communities in 35 states of Alabama, Alaska, Arizona, California, Colorado, Connecticut, Delaware, Florida, Georgia, Kentucky, Louisiana, Maryland, Massachusetts, Minnesota, Mississippi, New Hampshire, Nevada, New Jersey, New Mexico, New York, North Carolina, North Dakota, Ohio, Oregon, Pennsylvania, South Carolina, South Dakota, Tennessee, Texas, Utah, Vermont, Virginia, Washington, Wisconsin, West Virginia as well as the District of Columbia, argues that FERC’s review and approval process for jurisdictional pipeline projects is infected by bias; and that it is resulting in uncontrolled and irresponsible proliferation of unneeded natural gas pipelines. Finally, the letter charges the agency with misusing provisions in the law to strip people and states of their legal rights, to prevent fair public participation in the pipeline review process, and to improperly use the power of eminent domain to take private property and public lands in a way that inflicts unforgivable harm to rights, jobs, and communities. 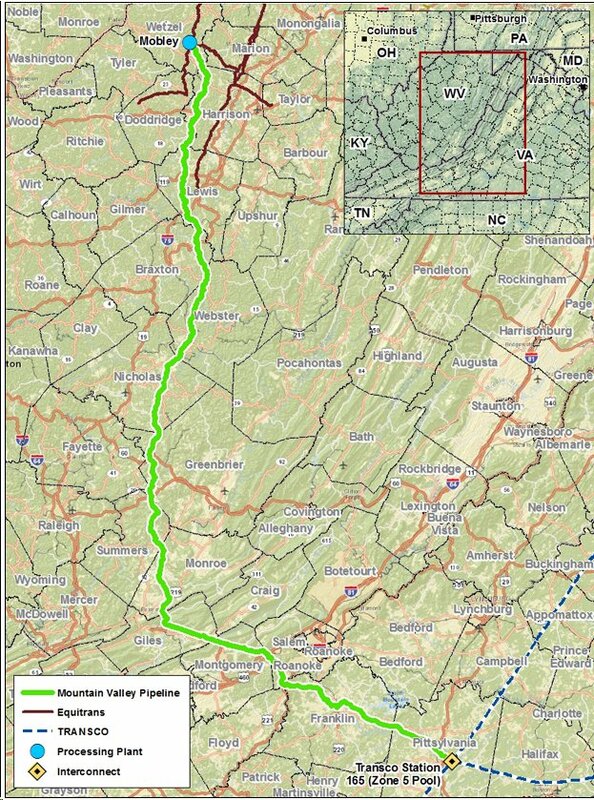 BRDIGEPORT, W.Va. – Mountain Valley Pipeline, LLC (MVP), has sued 103 West Virginians that have refused to allow the company to access their land to survey for the proposed Mountain Valley Pipeline. The company is seeking to construct the 330-mile proposed pipeline from Wetzel County, W.Va., adjacent to the Mason-Dixon line in the north, moving south through the heart of West Virginia until it finally would cross into Pittsylvania County, Va. – after traversing the pristine Greenbrier River and cross some of the tallest peaks of the Allegheny Front. If approved, the 42” pipeline would transport at least two billion cubic feet of natural gas. MVP is owned by EQT and NextEra Energy Inc. EQT and its partners have yet to submit a formal application with FERC. It is expected to do so later this year. The companies hope to begin construction in late 2016. Construction is estimated to take about two years. The Mountain Valley Pipeline and other pipelines such as the proposed Atlantic Coast Pipeline are the direct result of the fracking boom in West Virginia, Pennsylvania and Ohio. While environmental and property rights lawyers have been arguing that the use of eminent domain is premature – and hence, illegal – because FERC approval has not yet been granted, Mountain Valley Pipeline, LLC apparently has determined that West Virginia State Code regarding eminent domains grants them the right in advance of FERC approval to survey private property, arguing that the survey results are essential for seeking FERC approval. Obviously, contends MVP, that provision is open to interpretation by the courts. Essentially, MVP has accurately quoted the West Virginia law guiding the use of eminent domain. The question is whether they have accurately interpreted it. Heretofore, attorneys advising landowners regarding these letters have argued that the gas companies could not exercise their eminent domain rights absent of FERC approval for the pipelines. We can hope for justice, and trust that the court will rule in favor of the landowners. However, the law is sufficiently vague. And, corporations have received preferential treatment in the federal courts, especially since Citizens United. All of those who believe in individual liberty, property rights and the importance of environmental preservation should monitor this case closely. Furthermore, as has been pointed out by a landowner in Harrison County, W.Va., we should be suspicious of the relationship between FERC and the natural gas industry. Should the court rule in favor of MVP, it will be a clear call to citizens to realize that elections have consequences. West Virginia’s eminent domain law is not geared towards protecting individual property rights. It is, however, particularly protective of the rights of the energy extraction industry. We will soon know just how protective. We are on Facebook. Please “like” our page. Editor’s note: These are remarks made by the author at Bridgeport High School on March 24 at the last of several public scoping meetings that were held by the Federal Energy Regulatory Commission (FERC) to consider the environmental impact of the proposed Atlantic Coast Pipeline (ACP) and Supply Header Pipeline. 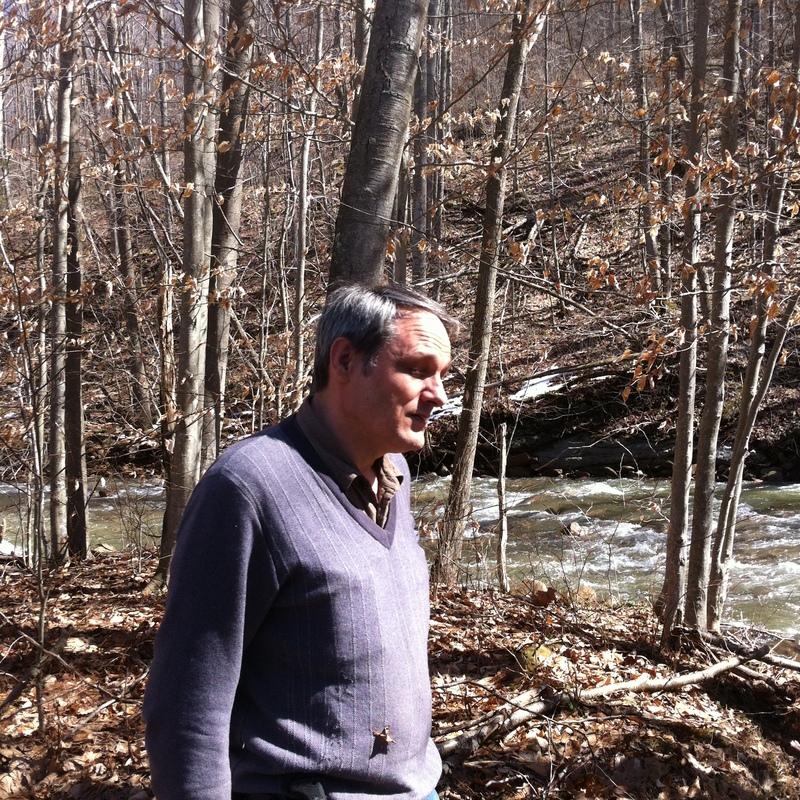 BRIDGEPORT, W.Va. – I recently received a letter that contains vaguely worded threats of legal action against me for refusing pipeline surveyors access to my property. No eminent domain ruling has yet been made on the subject of the proposed pipelines, yet the involved companies are proceeding as if it were a foregone conclusion. Given recent public comments made by the chief officer of FERC, this is not such an unreasonable assumption. So I hope FERC will sincerely and closely consider all the comments submitted by citizens and organizations whose interests do not align with those of the gas industry, if for no other reason than to defend their agency’s supposed independence and neutrality against growing public perception that the fox is, in fact, guarding the hen house. The impacts of the entire suite of simultaneously proposed interstate gas pipelines must be considered as cumulative and lasting. These pipelines would lay the groundwork for an exponential increase in fracking, which has already run roughshod over this region of Appalachia. Extracting and burning the natural gas distributed through these pipelines would lead to future greenhouse gas emissions that will exacerbate the unfolding global disaster of climate change. FERC needs to consider these impacts on scales ranging from the global to the local. In the case of the ACP, this pipeline would transect some of the most pristine and wildest public forest lands in the eastern United States. These forests are irreplaceable parts of our nation’s natural heritage that protect sensitive ecosystems, endangered and threatened wildlife species, unique geologic formations, and the sources of fresh drinking water for many, many millions of people. Environmental impacts include forest fragmentation and habitat loss as well as the loss of future carbon capture due to permanent deforestation along pipeline rights-of-way; erosion and loss of topsoil from one of the oldest mountain ranges on the planet; sedimentation and pollution of waterways; and increased opportunities for the spread of invasive species along pipeline corridors. Should these pipeline projects move forward, their installation along existing right-of-way corridors would help minimize this environmental destruction and mitigate negative human impacts such as increased potential for flooding, air pollution, noise pollution, and public health consequences. Creating new pipeline corridors would involve the forcible taking of private property, depriving landowners of its use and enjoyment and decreasing their properties’ values. Regardless of route choice, questions of public safety remain, including the possibility of explosions with enormous projected blast radii and hazardous chemical leaks. Vigilant monitoring, maintenance, and upkeep will be required for the indefinite future in order to minimize these risks and dangers, the possibility of which can never be entirely prevented even with best efforts. I, for one, have little faith that these gas companies, including the many iterations of subcontractors hired to perform this work, will in fact maintain the necessary levels of maintenance and repairs to prevent inevitable decay and decrepitude of these pipelines over time. This state is already criss-crossed with aging, neglected pipelines in various stages of disrepair. How, then, can we trust these same companies to maintain hundreds of additional miles of pipelines of unprecedented scale and size with any more care than they have demonstrated toward their existing responsibilities? Given the enormity of these risks and destructive impacts, a compelling case indeed must be made in favor of the public interest and benefits that would derive from these pipelines. Yet such an argument proves elusive, particularly given the fact that current gas production is far outstripping domestic consumption in this country. These pipelines in fact offer a textbook example of so-called “negative externalities,” when public costs shore up private profits. In this case, great environmental and social burdens would be unfairly borne by the population of a region that is poor, underserved, and underdeveloped in order to open new markets for private capital and encourage middle-class consumption habits in locations far removed from the scene of the crime. The inherent goal of these pipelines is to reproduce the economic status quo: to encourage a continuation of socioeconomic conditions in which Americans remain reliant on artificially cheap fossil fuels. This outcome is intrinsically at odds with overarching public interests or the public good. In order to withstand future climate disruption, we must shift swiftly and unhesitatingly toward an energy system of renewable and sustainable proportions. This entails incentivizing a wholesale reduction of fossil fuel use, including that of natural gas, rather than encouraging its expanded consumption. Public policy can and should be working to shape energy regulations that will protect the long-term survival of human civilization on this planet rather than the short-term profits of private corporations. Autumn Long is a landowner in Harrison County, W.Va.